We continue with our implementation of real-time networked drawing. In this episode, we focus on our RealTimeConnection class. 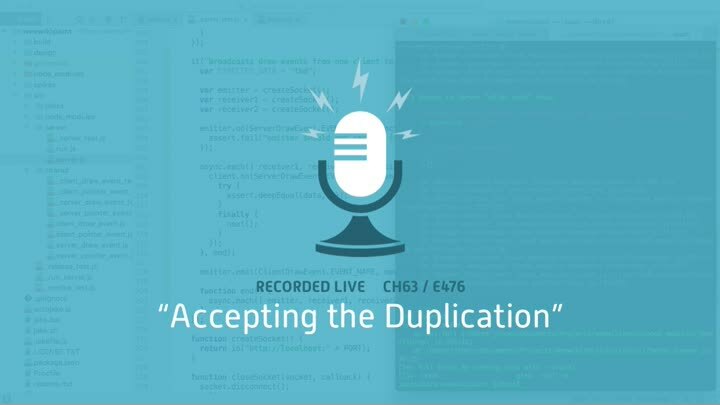 The duplication we’ve been seeing throughout this chapter is even worse here… but we accept it anyway. If we eliminate the duplication too soon, we could end up with a sub-optimal design. We still have more to learn.